Hiding in My Craft Room: HIMCR #218 Winner! It's Wednesday! My kids are out of school for fall break! So you know what that means! CRAZY time! LOL!! Actually, I like to joke, but I really enjoy having the kiddos home. They are truly my favorite people! And having grown kids as well I know that these little people only grow up to be my friends! My best friends! Aaaaah! I know! Before you have to get up and get a tissue let's get on with what we are here for! Our HIMCR challenge winner! 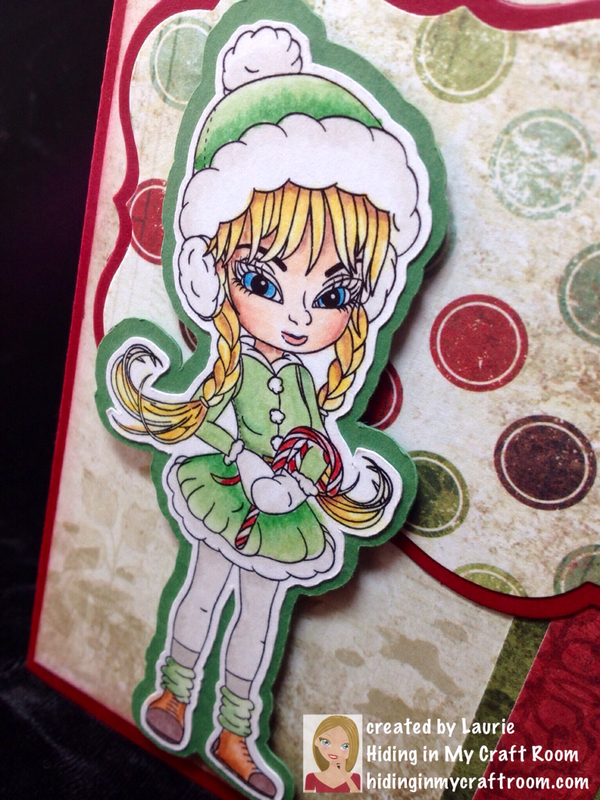 And before I announce the winner I want to share what I came up with using a Scrapper's Delights image! I used my Scan 'n Cut to cut out the image and mat! I really do love this machine and recommend it for anyone who doesn't like to cut out things or likes things cut out quickly and perfectly! 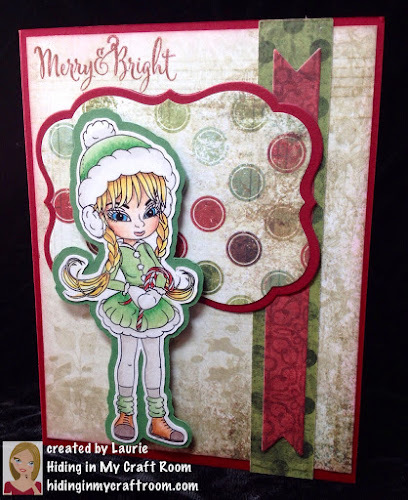 Card front: papers from Recollections: Naughty or Nice (LOVE this pack!) 4" X 5 1/4"
Other Cardstock / Paper: more from Recollections pack, SU Green? Now on with the winner!!! Congratulations! Please use the 'Contact Me' button before next Wednesday to send me your email and claim your prize. Thanks so much for all the great entries! 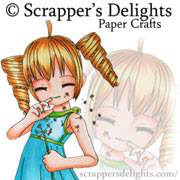 And a big thank you to Scrapper's Delights for sponsoring our HIMCR challenge! Don't forget to check out this week's challenge and giveaway and the special Copic Marker Giveaway!! !